It might be sweltering hot my side of the Earth but in other regions of the world winter is in full-swing. Everyone here is going to the beach, clad in their colorful flip flops, board shorts and tall glass of iced lemonade.While others are actually wrapped up in heaps of winter clothing, ear muffs and mittens, to escape the cold. It’s probably no wonder why online ads for discounts on inset fires keep popping on websites everywhere. I simply have no idea how they would manage without one in the house in the midst of the winter cold. I have seen some lovely fireplace images from Directfires and wish I could install one at home, too, not that we’d ever need it, living in a very tropical country. 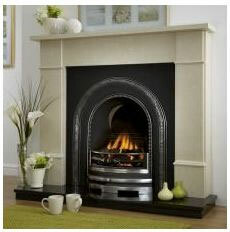 But I simply love the romantic vibe these fireplaces instantly give a living room or any parts of the house. I read a lot of those romantic paperbacks that often involve a heroine with her prince charming around the fireplace. Oh well, paperback or not, I‘d still say fireplaces are a perfect addition to any part of the house that need some improvement. And don’t forget that you can also use the fireplace surround to display your lovely family photos and other knick knacks, an instant lift on your otherwise ordinary living room. While the house probably won’t make the cover for any home improvement magazines, it’ll surelymake it a much better place to relax and hang out with your family! This entry was posted in Home improvement and tagged fireplace, romantic fireplace on March 20, 2012 by Mommy Yam.